X-ray computed tomography of the cladotherian Henkelotherium guimarotae from the Kimmeridgian Guimarota coal mine (Portugal) adds new information on its postcranial skeleton. Contrary to earlier description, the humerus of Henkelotherium shows a plesiomorphic cladotherian condition similar to that seen in Dryolestes leiriensis in having individual radial and ulnar condyles on the anterior aspect of the distal joint, whereas the posterior aspect appears to be trochlear. The scapula is also more plesiomorphic than previously assumed in having a laterally flared crest on the inferior margin. In this regard, it is similar to the scapula of spalacotherioid “symmetrodontans” such as Zhangheotherium but more derived than the latter, in having a larger supraspinous fossa. The hind limb is similar to that of small extant therians, which is interpreted to be assocated with an upright limb posture. The previously proposed hypothesis of an arboreal lifestyle for Henkelotherium is corroborated by a number of skeletal features such as large humeral entepicondyles, prominent digital flexor tubercles, elongated and slender tail vertebrae, as well as a high pedal phalangeal index of 153%. The online version of this article ( https://doi.org/10.1007/s10914-018-09457-2) contains supplementary material, which is available to authorized users. We thank Dorothea Kranz for drawing the restoration of the Scapula of Henkelotherium and Georg Oleschinski (both Universität Bonn) and Sven Tränkner (Forschungsinstitut Senckenberg, Frankfurt am Main) for photography. Lothar Kallien and Walter Lais (Hochschule Aalen) is thanked for μCT-scanning. For access to comparative material, we thank Rainer Hutterer and Jan Decher (Zoologisches Forschungsmuseum Alexander Koenig). David Grossnickle (University of Chicago) kindly shared his dataset on phalangeal indices. Z-XL was supported by a Humboldt Research Award of the Alexander von Humboldt-Stiftung (Bonn). We also thank two anonymous reviewers and the Editor of JME Dr. John Wible for comments and improvements on the manuscript. KJ thanks his wife Meena Förderer for her feedback on the manuscript and continuous support. 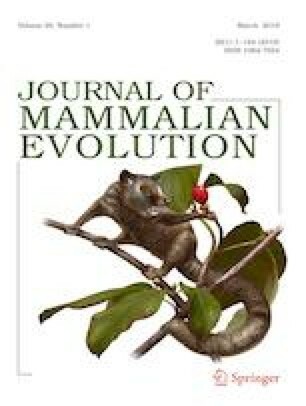 Chen M, Wilson GP, Luo Z-X (2017) The postcranial skeleton of Yanoconodon allini from the Early Cretaceous of Hebei, China, and its implications for locomotor adaptation in eutriconodontan mammals. J Vertebr Paleontol 37: e1315425. https://doi.org/10.1080/02724634.2017.1315425.